To me she appeared as woman, who her deformed body made for icon and her pain for art. It explains many self-portraits, which are made, when she was sleeping in bed, where she made herself as separated in pieces, with open body, grown with grass and lianas. 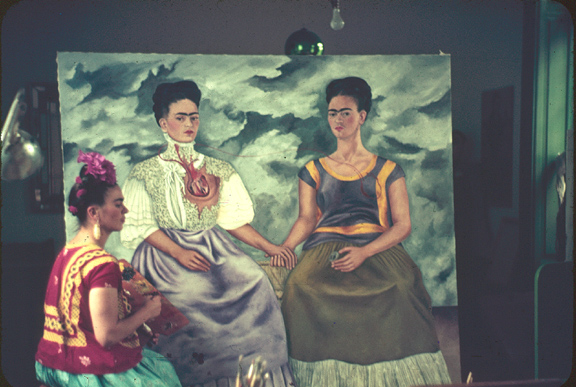 One of my biggest founds from video material is movie in Frida herself time.